Originally purchased at Marshall Field & Company in Chicago (became part of Macy's in 2006). The cross bars are stamped with the gold purity and makers mark ("R14K") for Enos Richardson & Company (later Richardson Manufacturing Company). 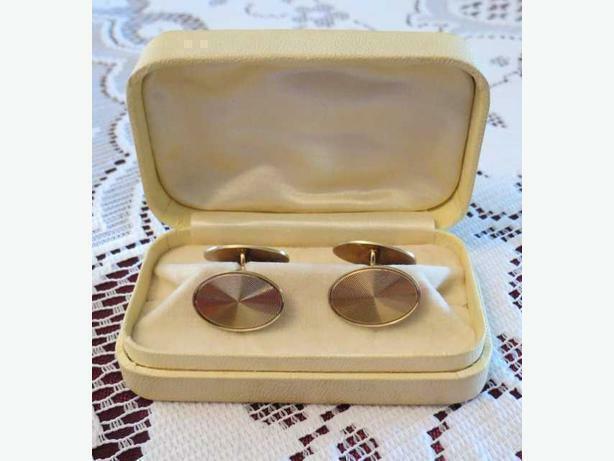 The firm created fine cuff links, jewelry and accessories from the mid 1850s to about 1950.